You are stranded in a desert, the white hot sun blares in your eyes and drags sweat from every one of your pores. You trudge up sand dunes hoping the beacon you move towards on the horizon isn’t a mirage. Suddenly a fellow traveller appears at your side and you are immediately filled with confidence that you are not alone on this journey that is only going to test your strength every step of the way. This is what playing Journey on the Playstation 3 is like. Unlike other online games, the chance of you actually playing with other players is completely random. There is only a rudimentary form of communication between players in the form of whistling or singing. You can choose to travel together, explore the open world together or go your separate ways. This is a new form of online gaming that is not only original but blends together seamlessly with the entire atmosphere of the game. Beautiful is a weak word to describe this game. Everything in Journey is gorgeous. The art direction, the graphical style and particularly the sound design are all outstanding. The storytelling is masterfully done and even though a single play through the game is short, I was almost immediately ready to dive back in, begin another journey and hope there was something more to discover in this world. Perhaps there were secrets I missed. 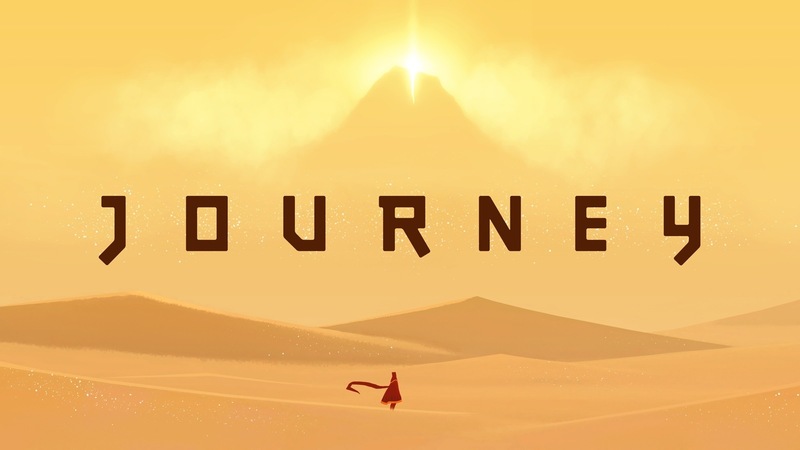 Regardless, Journey is not a game. It is not something to simply entertain you while time passes. It is an experience I recommend to anyone with an adventurous spirit and wide imagination. This entry was posted in Video Game and tagged Journey, Playstation 3, PS3, Sony, That Game Company, thatgamecompany by Jonathan Day. Bookmark the permalink.